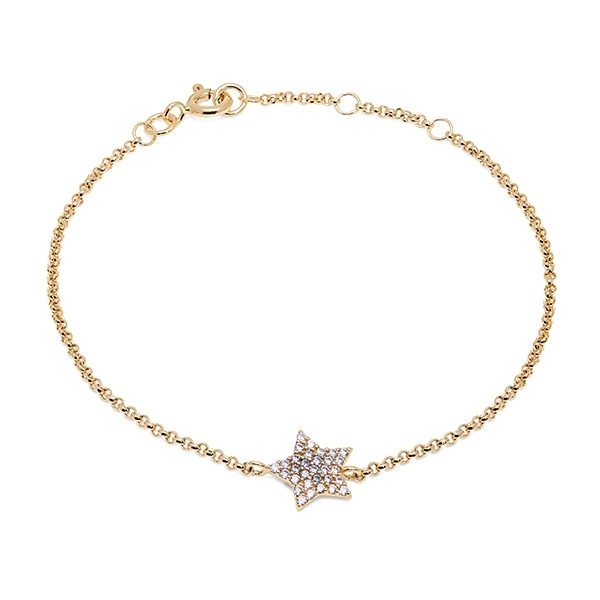 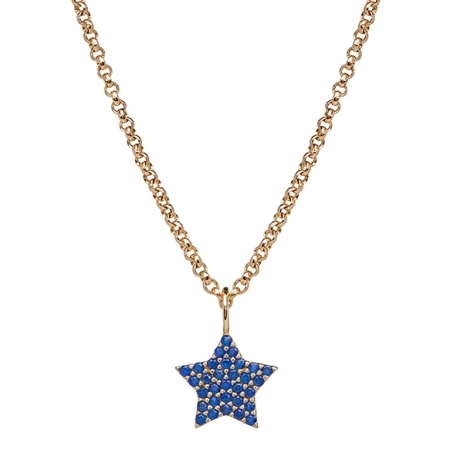 Solid 9kt yellow gold Chubby Star bracelet. 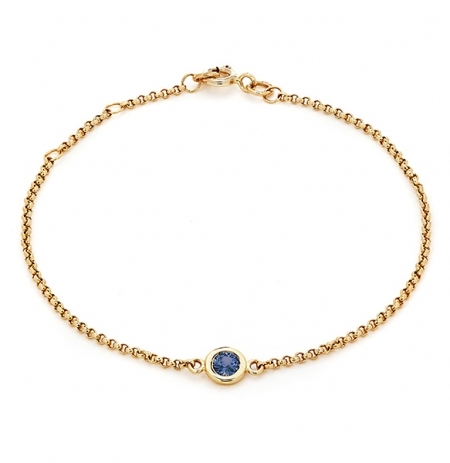 Total length of bracelet is 7″ with adjusters at 6.5″ and 6″. The charm is available set with white sapphires, blue sapphires, pink sapphires, yellow sapphires, green tsavorites, purple amethysts or blue topaz. 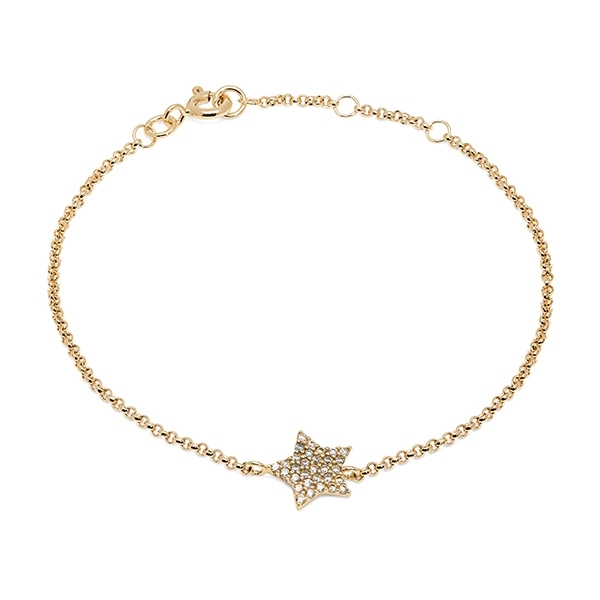 Solid 9kt yellow gold Chubby Star bracelet. 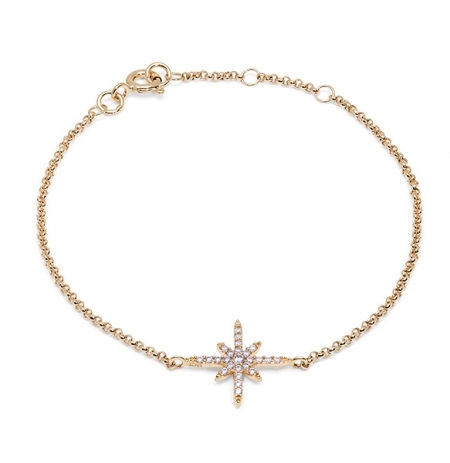 Total length of bracelet iss 7" with adjusters at 6.5" and 6".